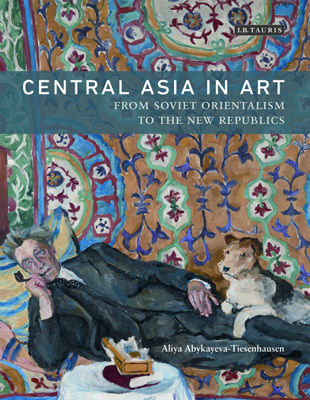 I have just ordered a new publication Central Asia in Art: From Soviet Orientalism to the New Republics by Aliya Abykayeva-Tiesenhausen. Dr Tiesenhausen was born in Kazakhstan and obtained her PhD from the Courtauld Institute of Art in London, where she still lives. According to the publishers, I.B. 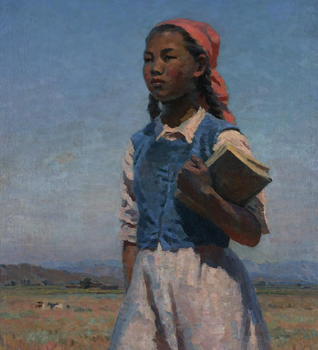 Tauris, the author presents the "untold story of Soviet Orientalism, and re-evaluates the imperial project of the Soviet state, placing the Orientalist undercurrent found within art and propaganda production in the USSR alongside the creation of new art forms in Kazakhstan, Kyrgyzstan and Uzbekistan. In the midst of the space race and nuclear age, Soviet Realist artists were producing figurative paintings. Why? How was art produced to control and co-opt the peripheries of the Soviet Union, particularly Central Asia? From the turmoil of the 1930s through to the post-Stalinist era, the author draws on meticulous new research and rich illustrations to examine the political and social structures in the Soviet Union – and particularly Soviet Central Asia". 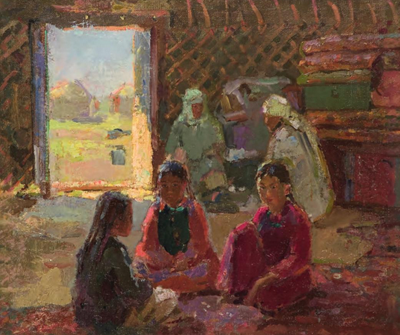 "The twin topics of Soviet art and modern Central Asian art are attracting growing attention, not to mention admiration, from connoisseurs and professional art dealers alike. However, to date it is a field that has been largely neglected by scholars. Thus, this new book is doubly welcome not only as a ground-breaking study of the subject, but as an impressive piece of work by any standards. Full of original insights and thought-provoking observations, it gives a lively and comprehensive overview of the subject and insightfully sets the Soviet legacy in context". I can hardly wait to get my hands on it!